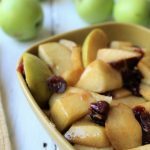 Does anyone like Cracker Barrel’s cinnamon apples? I thought you might. We certainly do and to be honest Cracker Barrel is all the rage in my family. Great prices and great food! 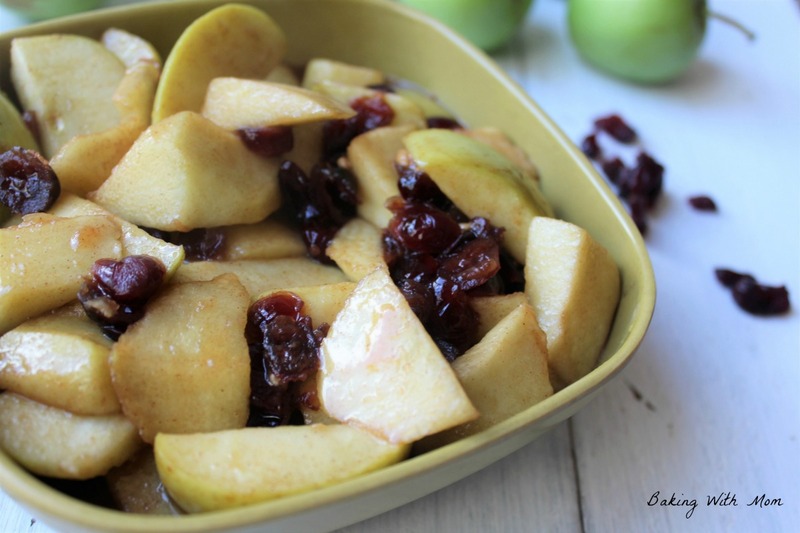 This cinnamon brown sugar apples with Craisins isn’t quite like theirs, but it is similar. You really just need to add cornstarch to thicken up the apple mixture. I chose not to for this batch and left the mixture as is. Simply cut up any type of apple. It would stay away from red delicious as they tend to mush easy. A Granny Smith or Jonagold would be perfect. On a previous post, I put together a list of apples and what they were designed for (applesauce or pies). You can see the different types of apple list here. 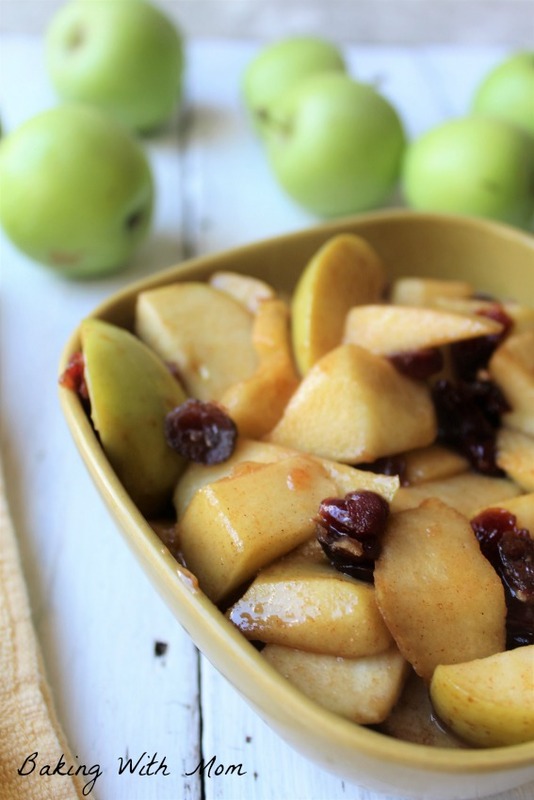 Cut up the apples, place in a saucepan and add the best part: cinnamon and brown sugar. I also added a little water to keep everything cooking well and not sticking. I add Craisins to ours and I would say that a golden raisin would be great as well. Let the heat work it’s magic and soon you will have delicious slightly crisp/slightly cooked apples. Great side dish for the Hamburger Casserole or Chicken Noodle Casserole. Apples with the perfect blend of sweetness and cinnamon. Great side dish and perfect for fall.